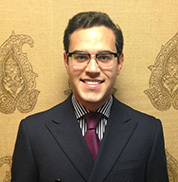 Jack Fried is a licensed real estate broker and has been involved in commercial real estate since graduating Fairleigh Dickinson University with a focus in Finance. Upon joining GCP Capital Group, Jack has specialized in arranging loans for multifamily and mixed-use buildings in the New York Metropolitan Area. Jack’s success is the result of his dedication to identifying his client’s needs and working to pair these needs with the most appropriate lender in the market. In his free time Jack enjoys skiing, tennis and boating.